The US nuclear regulator has directed its staff to complete work on the safety evaluation report (SER) for the Yucca Mountain geologic repository. Meanwhile, a court has awarded over $235 million of damages to three utilities affected by federal failure to fulfil used fuel disposal commitments. As well as instructing its own staff to complete work on the SER, the Nuclear Regulatory Commission (NRC) has requested the Department of Energy (DoE) to prepare a supplemental environmental impact statement (SEIS) to enable the completion of the environmental review of the application to build the Nevada facility. 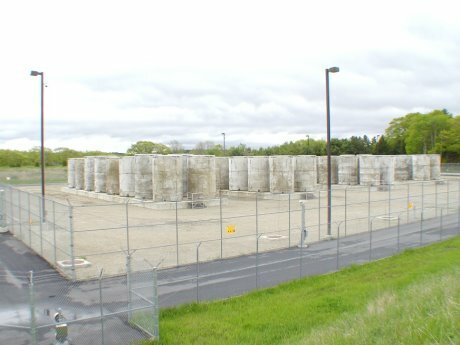 The DoE's application to build and operate the USA's first permanent repository for the disposal of used nuclear fuel and military high-level wastes was lodged in 2008, but the regulator suspended work on reviewing the application following a 2009 decision by the US administration to abandon the project. The NRC is resuming the review following an August 2013 ruling by the US Court of Appeals that it had acted illegally in abandoning the project, for which it had in hand some $11 million of appropriated funds. The NRC review initiated in 2008 comprised two concurrent processes: a technical review by NRC staff and an adjudicatory hearing before an NRC Atomic Safety and Licensing Board (ASLB) panel to consider third-party technical and legal challenges against the project. The adjudication process is still held in abeyance, but the NRC has ordered staff to load documents gathered by the adjudicatory hearing's licensing support network (LSN) into the ADAMS online database. Documents referenced in the SER and SEIS will be publicly released, although the release of all the LSN documents "will depend on whether adequate funds are available," the NRC said. The NRC announcement comes as a US court awarded three utilities known as the Yankee Companies over $235 million in combined damages for the US government's failure meet its used fuel obligations. All three of the utilities' nuclear power plants have now been decommissioned, but the failure of the federal government to remove used fuel and other high level wastes has seen the utilities forced to continue to store the materials on site. The court award was slightly less than the $247 million sought by the utilities. Under 1982 legislation, the DoE was legally obliged to begin taking used nuclear fuel from utilities for disposal in a permanent repository from 1998. With no permanent repository available, the US government has been unable to meet its obligations despite collecting a levy from utilities to pay for used fuel management. Utilities have sought to recoup their continuing used fuel management costs through the courts. In a 14 November ruling, the US Federal Claims Court awarded damages of $126.3 million to Connecticut Yankee for its plant (also known as Haddam Neck), $73.3 million to Yankee Atomic (former operator of the Yankee Rowe plant) and $35.8 million to Maine Yankee. All three reactor sites have built and operate their own secure dry cask storage facilities (known as Independent Spent Fuel Storage Installations, or ISFSIs) to accommodate the materials in accordance with NRC requirements until such time as the DoE can fulfil its obligations. The litigation, covering 2002 to 2008, is the second brought by the Yankee trio. A third round of litigation filed in August for damages in 2009-2012 is ongoing.